On this page in our OI Center, you’ll learn about Universal’s Volcano Bay tickets! Although Volcano Bay is Universal Orlando’s third park, it is a water park and, thus, features admission that’s a bit different from the other two parks, Universal Studios Florida and Islands of Adventure. With one key exception, guests who wish to visit Volcano Bay must purchase a three-park ticket (the one- and two-park options will only grant you entry to the two theme parks). And just to make it a little on the tricky side, these three-park passes only start at the two-day option, going all the way up to five days (with the pricing per day getting progressively better, just as with the theme parks’ admission). Florida residents are able to buy discounted tickets for Volcano Bay – that’s no surprise. What is surprising is that, unlike their out-of-state counterparts, one-day passes for Floridians are seasonally-priced, meaning that their cost fluctuates depending upon the time of year that you go. Expect to see three different rates: $70 (such as during the spring), $75 (during certain stretches of May), and $80 (throughout the whole summer). Lastly, there are two restrictions that should be noted. Firstly, Florida resident tickets expire 180 days after first being purchased (traditionally, that grace period has been one year). Secondly, proof of in-state residency is, of course, required. The stripped-down, one-day, Volcano Bay-only ticket costs $80. Unlike with one-day theme-park admission, which fluctuates depending on the season (that is, slower days are cheaper and busier ones are more expensive), the water park passes are always the same price, no matter the time of the year – unless, again, you live in Florida. If you’d rather go the multi-park route, online store ticket prices currently begin at $319.99 for an adult, three-park, two-day pass (park-to-park), with the children’s version running $309.99. This ticket allows you to hop from one park to the next as often as you’d like across two days, and while these two days do not need to be consecutive, you will need to complete that pass within a seven-day period (for example, you could visit Universal Studios and Volcano Bay on Monday, take Tuesday off, and then hit up Islands of Adventure on Wednesday). If you’re interested in just hitting up one park a day, your cheapest option is the three-park, three-day ticket (one park per day), which runs $279.99 for an adult and $269.99 for children. This ticket allows you to pick which park (including Volcano Bay) you’ll visit for that day, and then confines you there. How both pre-existent and brand-new annual passes work with Volcano Bay is actually kind of convoluted, giving guests a lot to digest. We’ll run the basics down for you here, but if you’d like the full, exacting scoop – including exclusive tips and expert pieces of advice – you can check out our full article. 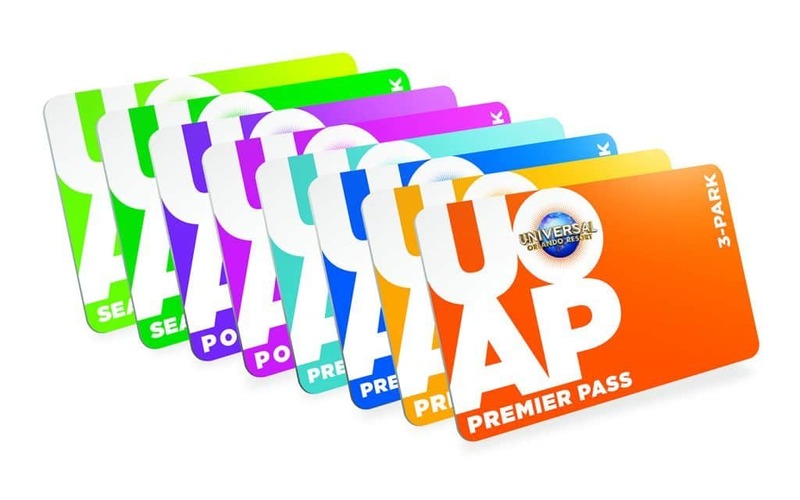 For all of you who already possess a two-park annual pass, you’ll need to pay a fee in order to upgrade it to the three-park version – $99 for the three bottom categories, and $149 for the top. Passholders had until April 30, 2017 to conduct the transaction. Oh, one last thing: all of the AP benefits that you might already be used to at the two theme parks don’t necessarily carry over to Volcano Bay – specifically, Early Park Admission and complimentary Express Passes after 4:00 pm (for Premier passholders). Keep this in mind as you start to plan out your day with the Waturi. How does Express access work at a park that utilizes a Virtual Line for each and every attraction? Easy – you won’t have to worry about securing a return time; you can just waltz right on to any ride that you like (just as with either Race through New York Starring Jimmy Fallon or Fast & Furious – Supercharged over at Universal Studios Florida). There’s just one small problem with this scenario: Universal has been constantly tweaking the availability of Express Passes as it constantly tweaks the crowd control of Volcano Bay as a whole. As such, Express was available for the first week or so of the park’s operation, then was taken down for several months, and now has been reinstated. Here’s the deal, at least for the time being: Express Passes can be purchased either online or at the park’s concierge huts, although they’re still more limited in quantity than what we had originally seen all the way back in May 2017. And, starting in April 2018, they have been divided up into two different tiers: basic will allow you to skip the virtual line on seven of Volcano Bay’s various rides (Krakatau Aqua Coaster, Punga Racers, Taniwha Tubes, and the two double-headers of Honu ika Moana and Maku Puihi); Plus, meanwhile, works on a total of 11 (adding in Ko’okiri Body Plunge, Kala and Tai Nui Serpentine Body Slides, and the double Ohyah and Ohno Drop Slides). Prices vary on the day (the last time we went, they were $50 for basic and $80 for Plus) and quantities are extremely limited. For more information on Express access, please see our complete guide. Splash, Stay, and Play vacation packages are now on sale! These packages include four-night hotel accommodations; three-park, four-day tickets (one park per day); and Early Park Admission to The Wizarding World of Harry Potter and Volcano Bay.